Skiing! Boarding! Food! Fun! D.J.! Dancing! Please note, if you will be snowshoeing and will not be buying a lift ticket, the price for Skicousi members is $33 USD and for non-members, it is $43 USD. On Tuesday, as Ellicottville is in a snow belt we recommend getting there on Tuesday afternoon to ensure a good drive. Night drives can be challenging. 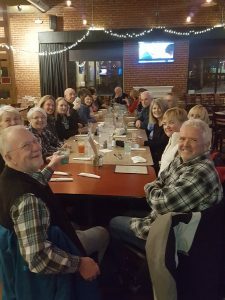 Most members carpool to Ellicottville to either ski, board or shop, check in to the Wingate and go out for dinner to one of the many great restaurants which are all in walking distance to the Wingate. Wednesday, head to HoliMont for a 9:30 am opening for a day of skiing/boarding. The dinner, dancing and the fun begins at 3:30 pm. The D.J. starts at 3:45 pm and the food comes out at 5:30 pm. You may want to bring a change of clothes. This event is always a fun time and a great way to meet new people! Thursday, skiing opens again at 9:30 am and we ski for a great rate and most head home Thursday afternoon. Remember to wear your name tag! 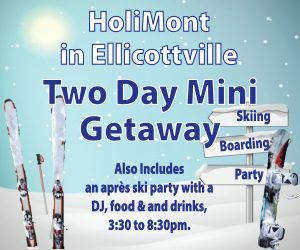 For further details, please contact the Ellicottville Coordinator, Cindy DiCarlo. 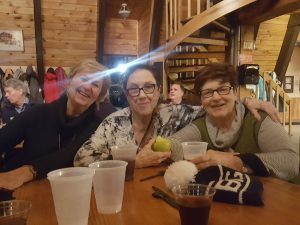 A sign up sheet will follow in January at our Skicousi ticket sellers’ table. You may want to reserve a room at the Wingate Inn which is minutes from the HoliMont Club. 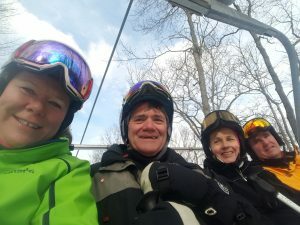 The price for Skicousi members is $105.00 USD per night (plus taxes)* for a double queen room which also includes breakfast, pool and hot tub. A block of rooms has been reserved. *This rate is for Tuesday and Wednesday night. To make a reservation and to get the Skicousi price, call the Wingate Inn. 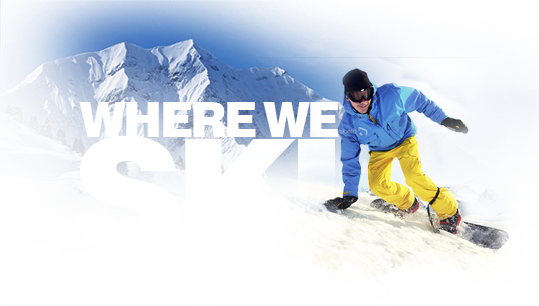 If you do not have insurance, Skicousi recommends that you get medical insurance for the U.S.